Ukreximbank (Kyiv) and China Export and Credit Insurance Corporation (Sinosure) on April 17 signed a framework agreement on cooperation in Kyiv, a press release from the bank said. The agreement foresees that Sinosure will provide insurance support for those projects for the which applications were filed through Ukreximbank and contracts were concluded by Chinese enterprises in Ukraine. In particular, the matter concerns the implementation of construction projects in Ukraine and other countries, in which Ukreximbank is involved, as well as projects in the field of infrastructure, agriculture, energy, transportation, oil, gas and chemical industries. The total limit of Sinosure financial insurance for use by Ukreximbank will be $500 million. The loan term will be set depending on the parameters of each contract and could reach 15 years, the report said. 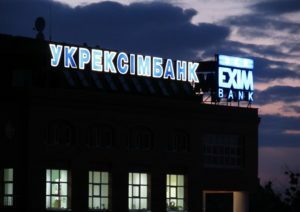 “An agreement on cooperation for the first time signed between the Ukrainian bank and China Export and Credit Insurance Corporation is a landmark event, as it opens up great potential for expanding external financing channels for the key sectors of the national economy,” the press service of Ukreximbank said, citing chairman of the bank board Oleksandr Hrytsenko. Sinosure is the official export credit agency of China, founded in 2001. Sinosure is the only state-financed insurance organization. The Cabinet of Ministers has approved a draft law on ratification of an agreement on the development of cooperation with Turkey. The government took a corresponding decision at a meeting on Wednesday. According to the explanatory note to the draft law available to Interfax-Ukraine, the implementation of the document will favor the implementation of technical cooperation projects – the transfer of know-how, training of personnel, the supply of equipment and materials, and will also contribute to financial projects and grants to finance the supply of goods, equipment and materials. The agreement also provides for the creation of a Programs Coordination Office of the Turkish Cooperation and Coordination Agency (TIKA) in Ukraine. The Cabinet of Ministers of Ukraine has approved a draft amicable agreement between Philip Morris and Ukraine, foreseeing the abolishment of the tax notification for the amount of UAH 635.3 million by the State Fiscal Service of Ukraine. According to the draft government resolution, this agreement should ensure the investment dispute settlement, prevent bringing a claim to international investment arbitration against Ukraine amounting to more than UAH 635 million, avoid significant expenses from the national budget during the arbitration, demonstrate to the partners of Ukraine and foreign investors that the government adheres to commitments to provide incentives and protect foreign investment. The amicable agreement will be signed between Philip Morris International Inc., Philip Morris Global Brands Inc. (both the United States), Philip Morris Brands Sarl (Switzerland), PrJSC Philip Morris Ukraine and the state of Ukraine. Acting Head of the State Fiscal Service Oleksandr Vlasov is authorized to sign the amicable agreement, and the State Fiscal Service is authorized to execute it after signing. As reported, PrJSC Philip Morris Ukraine in March 2015 appealed and received permission from Kharkiv customs office to apply the processing mode in the customs territory of Ukraine for the production of cigarettes and accompanying products and their re-export for the period from April 1, 2015 through March 31, 2016. The company was authorized to conditional exemption from Ukrainian import duties and other import taxes on materials for processing under the terms of re-export. After Philip Morris Ukraine carried out processing and re-export operations, the main directorate of the State Fiscal Service in Kharkiv region conducted an unscheduled inspection of the company’s compliance with the customs legislation of Ukraine regarding the clearance of goods in the processing mode in the customs territory of Ukraine. According to the results of the inspection of the main directorate of the State Fiscal Service in Kharkiv region, on June 14, 2016, it approved decision notices that determined the liabilities for paying of import duties, additional import duty and VAT on the import of materials, as well as penalties for the total amount UAH 635.3 million Philip Morris Ukraine. 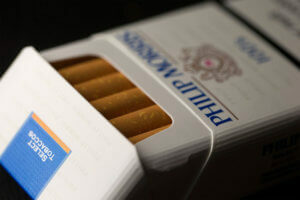 Philip Morris Ukraine said that the actions of the State Fiscal Service are pressure on the company. After that, the parties entered into litigation. Ukraine and Israel will sign a free trade area (FTA) agreement at the end of November, Ukrainian Prime Minister Volodymyr Groysman has said after a meeting with new ambassador of Israel to Ukraine Joel Lion in Kyiv on Tuesday. “The document will significantly expand our economic cooperation and will increase trade, which now amounts to $1 billion a year,” the head of government said on his Facebook page. Groysman also said that this month in Kyiv there will be a Ukrainian-Israeli innovative summit, the participants of which will be representatives of about 50 enterprises working in the field of high technologies. 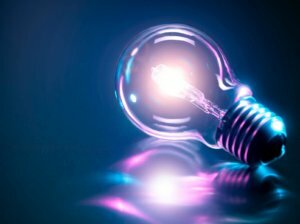 “We consider cooperation in the sphere of innovations to be one of the most promising,” the Ukrainian prime minister said. As reported, Ukraine and Israel completed negotiations on signing a FTA agreement in April and intend to sign it by the end of 2018. Early August, the sides finished a legal reconciliation of the text of the FTA agreement. The next step in preparing the agreement for signing is the translation of the agreed text into Ukrainian and Hebrew. From the moment the document enters into force, Israel intends to abolish 80% of duties on industrial goods, as well as a number of agricultural products – within quotas. Import duties on the agricultural products specified in the agreement will be completely canceled during the transition periods for three, five and seven years. Partial liberalization is envisaged for a separate category of goods. 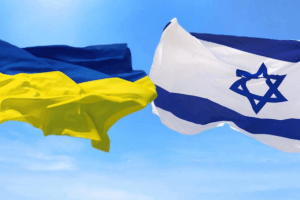 Ukraine, in turn, intends to open 70% of the industrial goods market for Israeli producers, as well as abolish duties on a number of agricultural products immediately after the entry into operation of the agreement, for some of them within three or five years. In particular, Ukraine plans to reduce tariffs for certain seasonal vegetables and fruits from Israel. Israel will be the 46th country, with which Ukraine signs the FTA agreement. 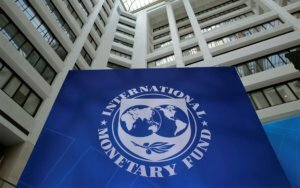 The International Monetary Fund (IMF) staff and the Ukrainian authorities have reached agreement on economic policies for a new 14-month Stand-By Arrangement (SBA), which will replace the arrangement under the Extended Fund Facility (EFF), approved in March 2015 and set to expire in March 2020. “The new SBA, with a requested access of SDR 2.8 billion (equivalent to $3.9 billion), will provide an anchor for the authorities’ economic policies during 2019,” the IMF said in a statement on Friday. According to the statement, the agreement is subject to IMF management approval and approval by the IMF Executive Board. Board consideration is expected later in the year following parliamentary approval of a government budget for 2019 consistent with IMF staff recommendations and an increase in household gas and heating tariffs to reflect market developments while continuing to protect low-income households. The IMF says that building on progress made under the EFF arrangement in reducing macro-economic vulnerabilities, the new agreement will focus in particular on continuing with fiscal consolidation and reducing inflation, as well as reforms to strengthen tax administration, the financial sector and the energy sector. “The agreement reached today reflects the IMF’s commitment to continue to help Ukraine achieve stronger, sustainable, and inclusive economic growth,” the IMF said. The Ukrainian authorities’ steadfast and effective implementation will be critical for the program to achieve its objectives, it added. According to the IMF, the new program has been developed in close coordination with the World Bank and the European Union, who have parallel operations to support Ukraine. As reported, the four-year-EFF program worth SDR 12.348 billion (about $17.46 billion at the current forex rate) was launched in March 2015 with a first disbursement of $5 billion. It originally suggested a quarterly review of the program, the allocation of three more tranches worth SDR 1.18 billion each in 2015 and a reduction in quarterly disbursements in 2016-2018 to SDR 0.44 billion ($0.61 billion). Under the ongoing program, Ukraine has managed to receive a second tranche worth $1.7 billion early in August 2015 with a little delay, which was followed by a long break as Ukraine had failed to meet a number of conditions, which was aggravated by the political crisis and government reshuffles. Talks on further financing resumed after the appointment of a new Cabinet of Ministers headed by Volodymyr Groysman in April 2016. However, the IMF decided to issue a third disbursement worth $1 billion only in the middle of September 2016 and a fourth one on April 3, 2017. Since July 2017 Ukraine has been in a complicated negotiating process with the IMF on the gas issue. The IMF insists on raising the price of gas for the population, which, according to various estimates, may range from 30% to 60% due to rising prices in international markets, while the prime minister had previously pointed out the irrationality of such a sharp increase. The Fund’s position is quite tough, as the government last year decided to raise gas prices that allowed Ukraine to receive a tranche from the IMF, but subsequently unilaterally refused to implement it. Only on Friday, October 19, the government decided to raise gas prices for the population by 23% from November 1, but their new level is still significantly lower than the prices for industry.